Cooking pasta in your Instant Pot is a little bit different than the stovetop version. Let me help answer the most popular questions that are being asked, to help you master your pasta in the Instant Pot! I have found the Instant Pot has swooped in and helped saved the day when it comes to my pasta dishes. It cooks it correctly, and I don’t have to worry about my pot boiling over! 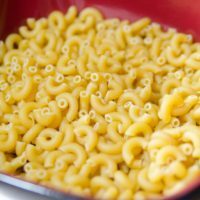 Let me help answer some pasta and Instant Pot questions to help you out! On average you want to aim for at least 2 cups of liquid per every 4 ounces of pasta. So if you use a total of 8 oz of pasta, you need 4 cups of liquid. You are welcome to add in a dash of salt as well to season it if you want. The salt might depend if you are cooking all other ingredients with your pasta or cooking your pasta alone. When cooking with pasta a quick release is best. 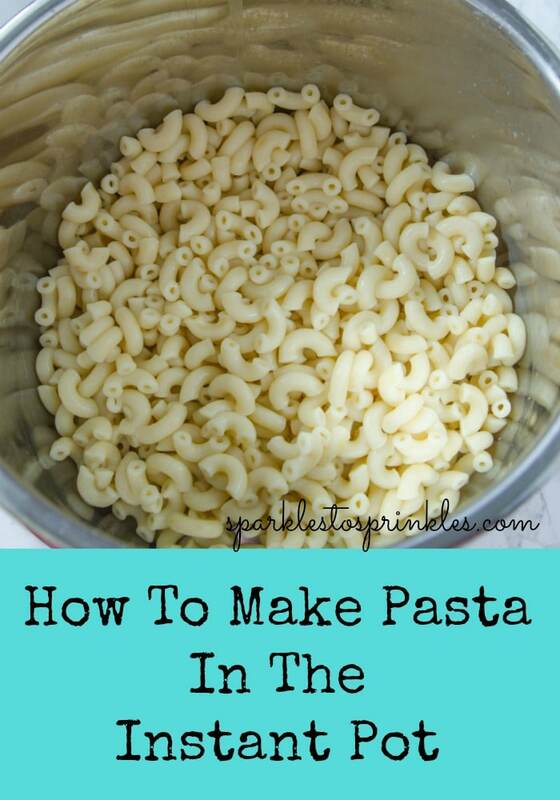 This allows the pasta to stop cooking and if you do a natural release, it can very easily over-cook your pasta leaving you that gummy mush you don’t want. Many people find their pasta can get pretty foamy when cooked in the Instant Pot. Just like when you cook on the stove, many add a splash of butter or oil in to help from the pot boiling over and reduce the foam. Just do the same with your past in the Instant Pot. Add 1/2 teaspoon-teaspoon of butter or oil of your choice in when you go to cook. While it doesn’t entirely fix it, you will find you have a lot less foam. Every brand and style of pasta will have a different cook time; it can be hard to know for sure. What I recommend is cutting the cook time in half and then determine the low-pressure cooking time. 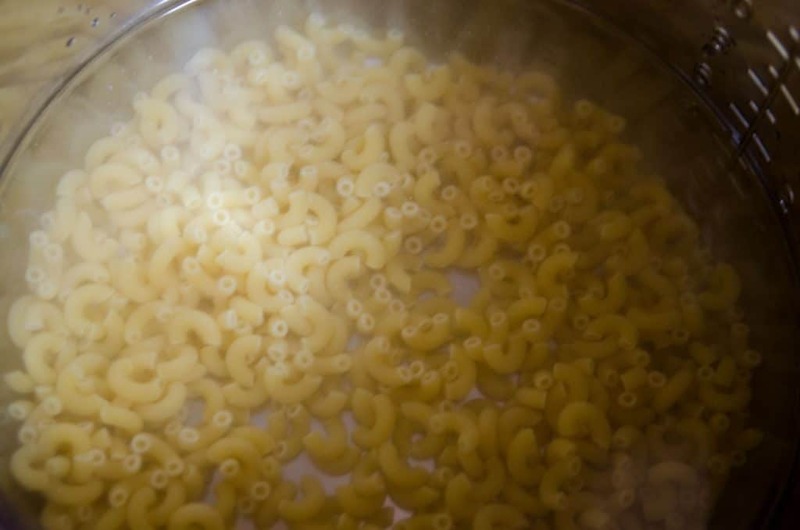 So if your pasta takes typically 12-13 minutes, then you want to low pressure for 6 minutes. Or if the cook time usually is 10 minutes then you low pressure for 5. Now if you are going to use high pressure, the pasta needs a minute, or two shaved off more, so you don’t overcook the pasta. So if you have pasta that is supposed to be on low for 6 minutes and you want to cook on high do 3-4 minutes on high. From my experience, those more tender homemade or fresh kinds of pasta tend to break apart very quickly in the Instant Pot. The same thing goes for stuffed pasta like ravioli or even tortellini. 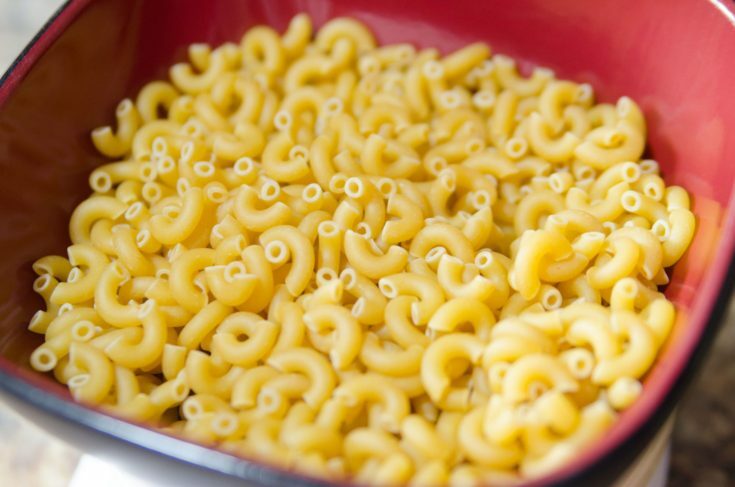 They break apart so quickly it makes it hard to get the perfect pasta. Longer style kind of kinds of pasta like angel hair pasta, fettuccine, spaghetti can be done, you need to break the noodles in half. That way they can get submerged in the liquid that they are being cooked in. If you find your pasta is sticking together, try criss-crossing the noodles before you cook, this will help reduce that. Small pasta like Orzetto, Stelline that are for soups | They can clog the safety mechanisms in your Instant Pot. Homemade pasta – tend to break very easily. Any pasta that has a cook time of 7 minutes or less. Fresh pasta (even if store-bought) will fall apart. Potato Gnocchi, Tortellini, Ravioli | All break down and fall apart. Cooking pasta in your Instant Pot is a little bit different than the stovetop version. Let me help answer the most popular questions that are being asked, to help you master your pasta in the Instant Pot! Drain any remaining water left in the pot. The pasta is ready to serve or be used in other recipes. Enjoy! It depends on the size of your pot, but for both a 6 qt & 8 qt, yes you can.